Graded EX-MT 6 (OC) by PSA. Very attractive high-grade example of King Cole from the E90-3 American Caramel set. E90-3s are rarely found this sharp! 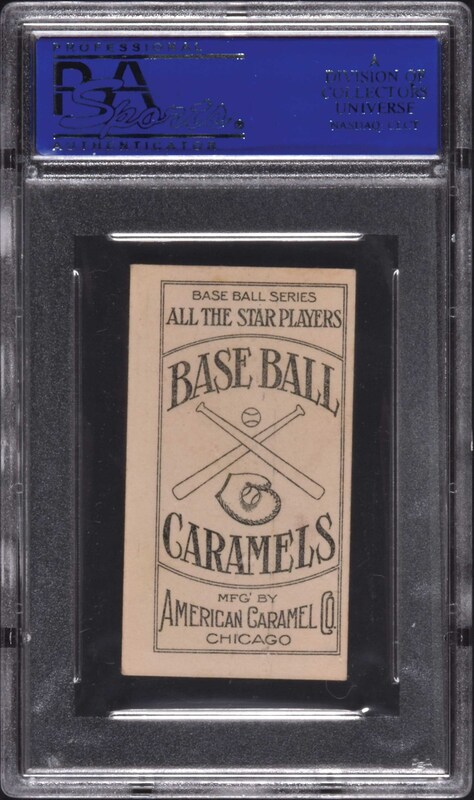 The E90-3 American Caramel set is considerably rarer than the E90-1 series (except for the rare cards in the set) or the E90-2 Pittsburgh series cards. This is truly a set unto itself, slightly different in design from the other American Caramel cards and featuring only Cubs and White Sox players. Sometimes we think this set is a little overlooked simply because the set is rare and the prefix of its catalog designation (E90) is shared by E90-1 and E90-2, both sets which are actively collected and get all the attention. 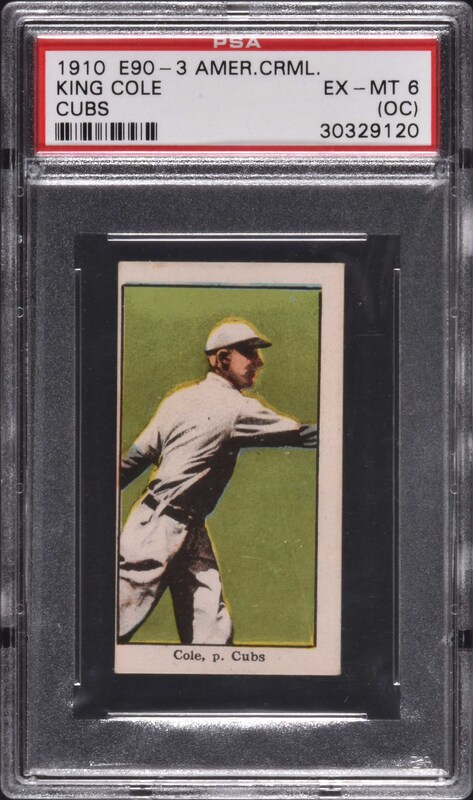 Exceptionally crisp and clean, both front and back, with four square corners, and virtually no left border (which accounts for the qualifier assigned by PSA). This is a very sharp and striking high-grade sample card from this rare caramel card set. Reserve $200. Estimate (open).